I just returned from a couple of weeks in Japan. 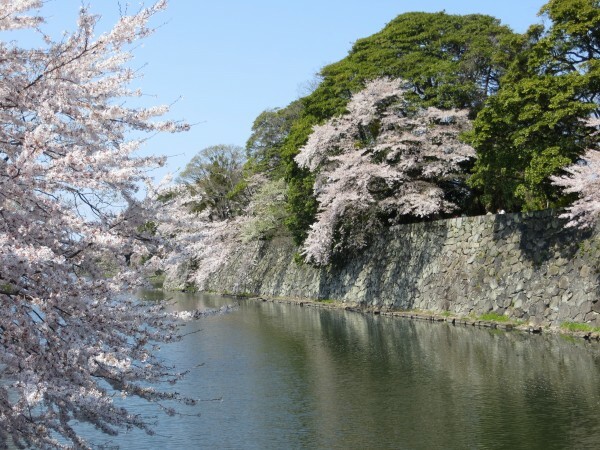 After a short stay in Tokyo, I was in Kyoto, where I discovered some sites. My friend Aya-san is always scouting for new places to visit. 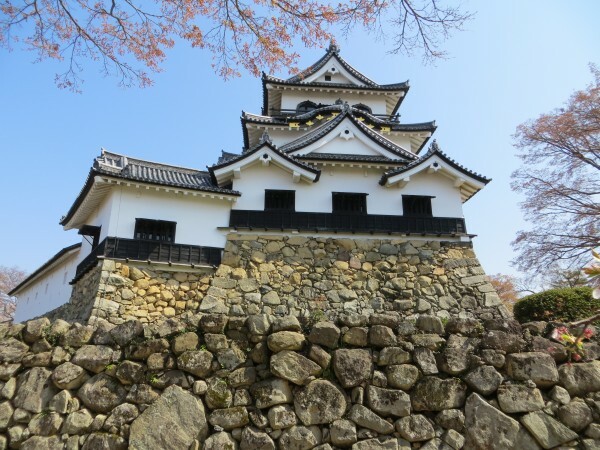 This time we went to see Hikone castle, a little ways north of Kyoto, on the edge of Lake Biwa. The lake was used to provide water for the moat. 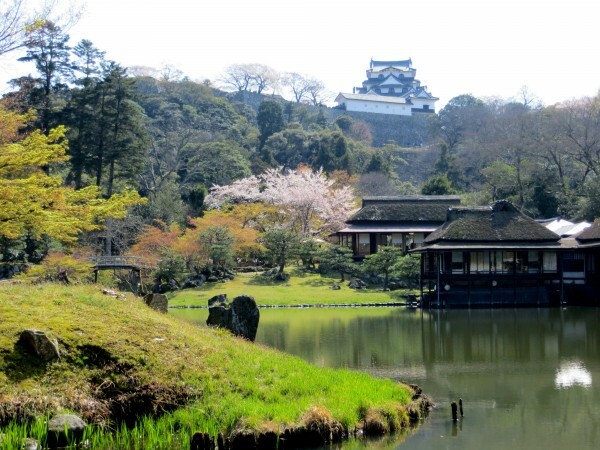 It was built from 1604 through 1622, and is one of the 12 remaining original Japanese castles. 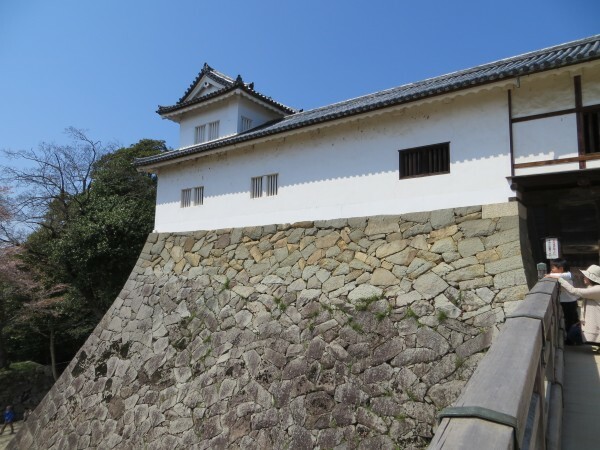 It incorporates some parts moved there from Nagahama castle. The approach, with a good view of the imposing walls. 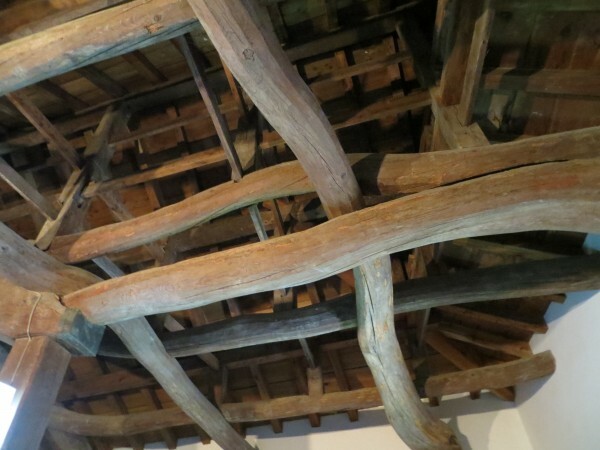 Inside, I liked the beautiful old wood of the floors, polished by years of use, as well as the old beams of the ceilings. These show the hand stripping of the bark, and many have the natural shape of the trees used. We noticed many ya-zamas, the narrow openings through which arrows were shot at assailants. They are cleverly hidden, and almost impossible to see from the outside. I managed to get a distant view of Lake Biwa through one of the windows. 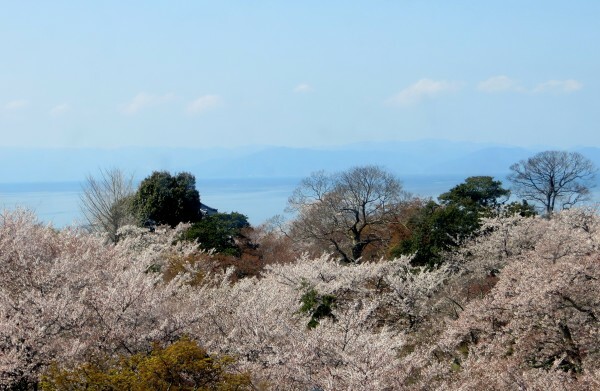 You can see the misty mountains in the background, and some more sakura just below. After getting one more view of the castle, we went into the gardens, which are quite attractive. It was now time for lunch. Aya-san suggested a small restaurant where we ate some of the famous Biwa ayu, or sweetfish. This is a small fish, cooked by first skewering and then grilling over charcoal. 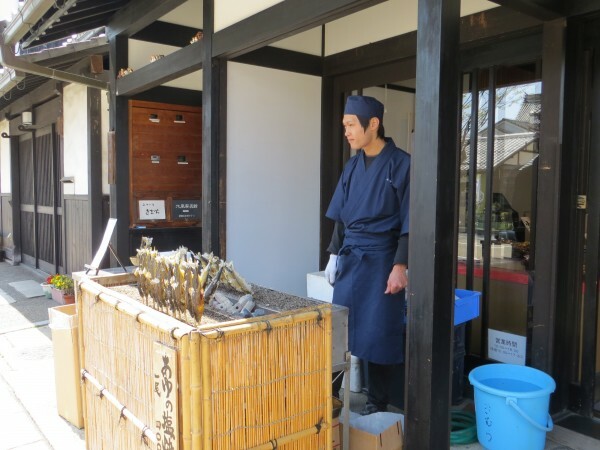 You can see the ayu on their sticks, being grilled in front of the restaurant. I hope I have other occasions of eating them! I had some time in Kyoto, so on other days I was able to visit Nembutsu-ji, the Seto Palace gardens, and Kennin-ji, which I particularly liked. 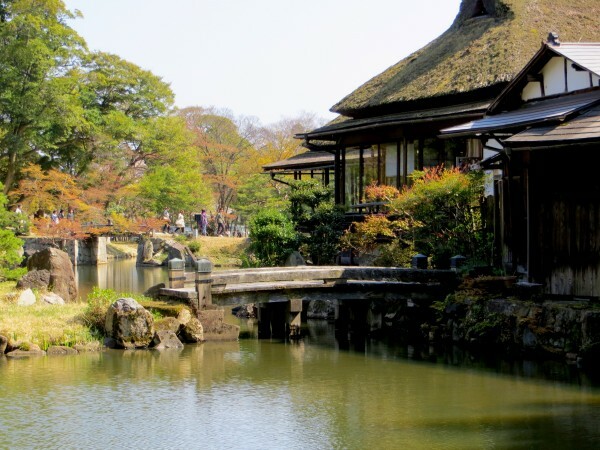 There seems to be an infinite number of places to visit in Kyoto! OMG!!! 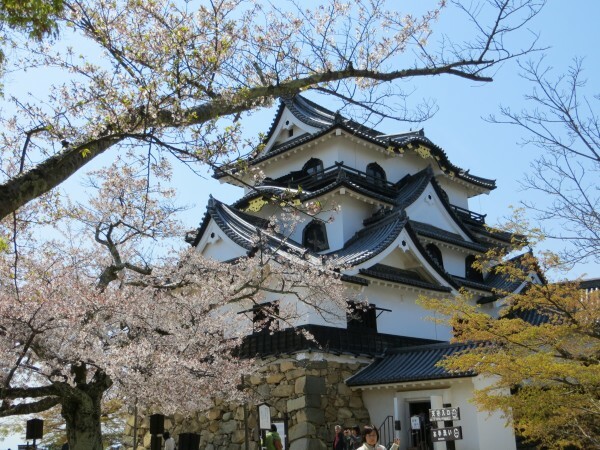 I think I have to re-visit Hikone Castle in the spring! !